Scoop up a staple ingredient for burritos, bowls, dips, & more. 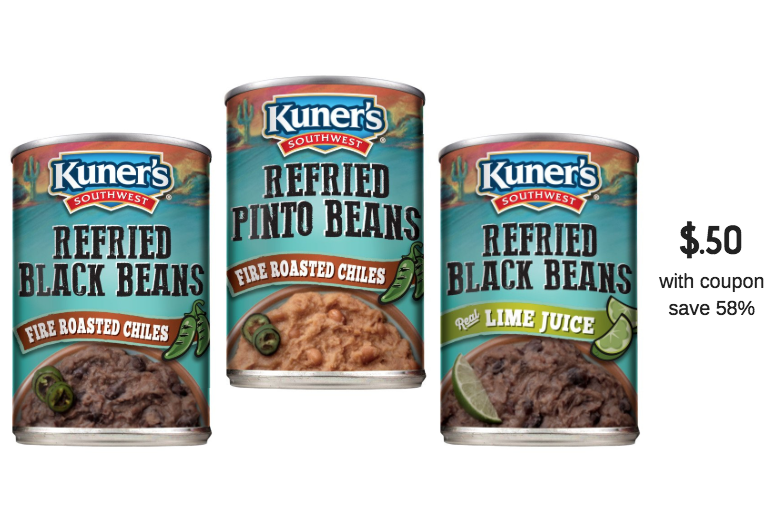 Grab 2 cans of Kuner’s Southwest Refried Beans on sale for $1.00 each through December 29th. Then use the $0.60/2 coupon which doubles to $1.00 at the register. 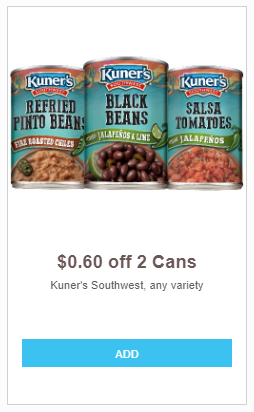 You’ll pay $0.50 per can after the deal, a savings of 58%! 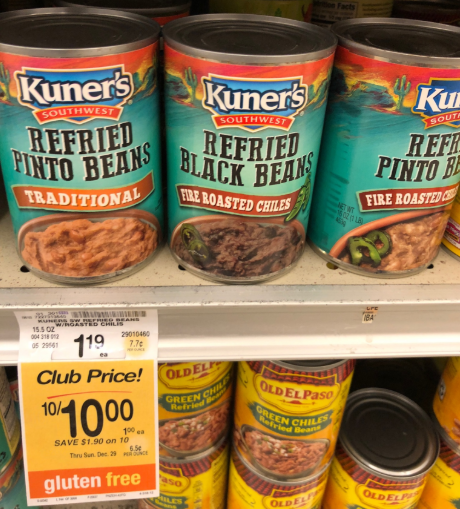 The Kuner’s Southwest Refried Beans are available in some delicious and unique flavors like refried black beans with lime juice, refried black beans with roasted chiles and refried pinto beans with chiles in addition to the traditional refried pinto beans! 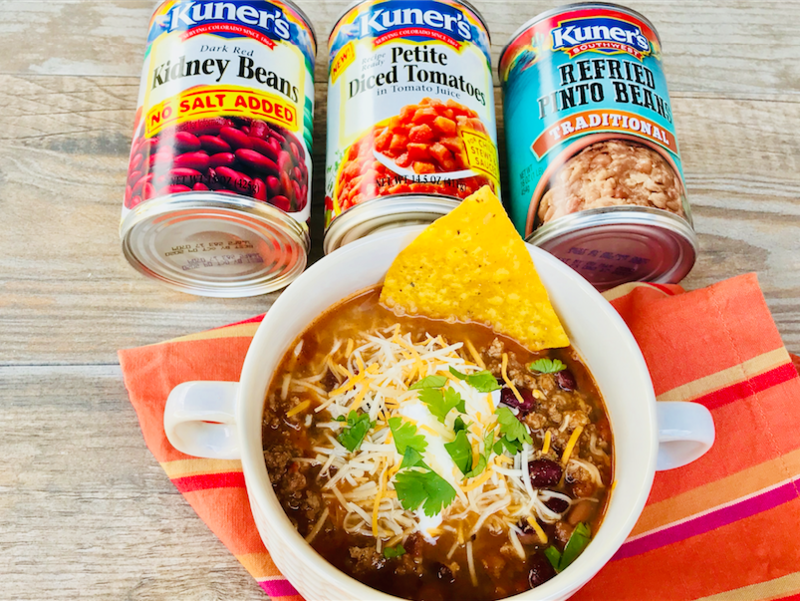 Check out a couple of recipes below that use Kuner’s beans as inspiration for a meal this week. Final price = $0.50, save 58%! SuperSafeway is a blog devoted to helping you find the best deals at Safeway in the Denver division. Every week we slice and dice the ad and tell you the best deals at Safeway with and without coupons. For more low prices, check out Super Safeway’s weekly ad coupon matchup page. Want to stay updated on the best deals? If so, make sure to like Super Safeway on Facebook, join our Facebook group, follow us on Twitter, Instagram, or Pinterest and subscribe to our newsletter. Browse the deals on ALDI Ad.